Home / Tales From A Sewing Mom / New Sews for the New Year Blog Tour! Making Maternity Clothes! 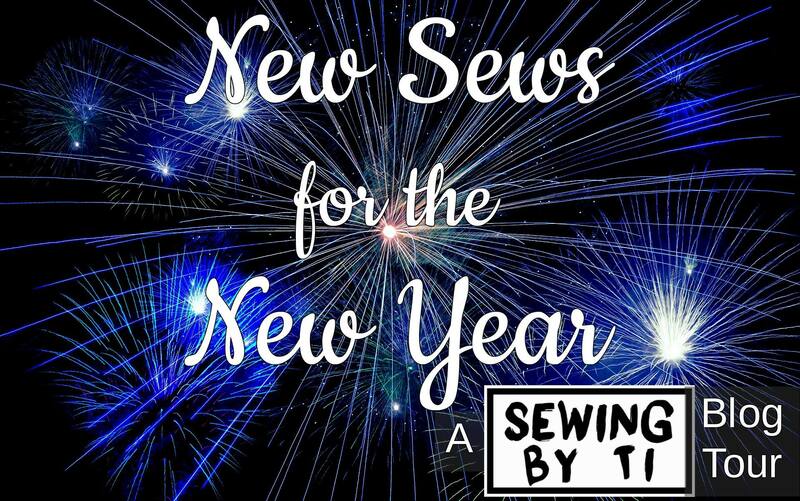 New Sews for the New Year Blog Tour! Making Maternity Clothes! So many new and exciting things are happening this new year. I have taken on the role of an admin in the new 52 Week Challenge Sewing Group, my daughter in law is having a new baby, and I have challenged myself to learn to make new garments out of patterns mashed together. Having new things for the new year is a special thing for me it is like a nice fresh start! I thought that if I could use one or two of these things together it would be an even more exciting start. Here is my daughter in law at 12 weeks pregnant and modeling her new shirt I made for her. Making maternity clothing is a whole different thing for me, and making maternity clothes for her is a little more difficult as she is about a size 12 in girls clothing. There are just not many options for her in the stores. I took a pattern that had a tighter fitting shoulder and bust and then used two fronts instead of a front and a back. Putting these together allowed the shirt to fit a little nicer as she is only 5 foot tall and most shirts with a higher back really shorten her. As you can see that even using two front pieces, the top is still plenty high in the back. I knew that even though we needed some length in the top for her growing bump it was important that she still feel like the shirt fit. I used 1/2 inch elastic on the sides to do the rouching as I really wanted it to come together well. Having a new grand baby is exciting and having a new skill for the new year is so fun! I am going to busy the next few weeks making her some tops that fit her well so she feels great during her pregnancy. Ti always has so many great things on her tour and this one is no different check out the other bloggers below and make some plans to start something new for you this year! Previous post: BJingles Lets You Listen to Your Baby! I never thought to make my own maternity clothes! This would be great way to save money on them, especially since I haven’t been able to wear the same clothes this pregnancy as I did the last 2. What a great idea !